Eventually the will of the consumers will win out, regardless of the advertising to which they are subjected and even in the politically correct but economically stupid renewable energy business. The political and bureaucratic dynamics of the renewables market have worked toward supporting uneconomic energy like wind and solar power. But the cost impacts have eroded the political enthusiasm and begun to cause voter and ratepayer backlash. The cost impacts have been a hidden fact, buried in electricity bills under peculiar names, and almost never aggregated into an understandable number that actually informs the consumer. Until now. The Institute for Political Economy at Utah State University has published a report showing Kansas ratepayers will pay $171 million more than they would in the absence of an RPS. The Kansas RPS has also resulted in 5,500 fewer Kansas jobs since the RPS started, a number that will continue to grow. On a per household basis, families had $4,367 less to spend in 2013 due to the RPS. Some 72,000 Kansas families have pre-tax annual incomes of less than $10,000, averaging $4,750. In other words, the Kansas Renewable Portfolio Standard (RPS) completely wipes out the income of nearly 35,000 Kansas families and significantly reduces the available income of many more. This level of cost impact has direct consequences on health. The National Energy Assistance program examined the consequences of this kind of cost increase on low income families. Faced with these rate increases (and no actual improvement in the electricity they receive), 32 percent of these families went without food, skipping some meals; 4 percent went without medical care, being unable to pay for co-pays; of those able to obtain medical care, 37 percent did not fill their prescriptions; and of this group, 25 percent became sick. Among the Kansas ultra-poor, this equates to about 50,000 people getting sick. Of those, according to the analytical methods developed by the U.S. Environmental Protection Agency, the $4,85 billion in lost personal income in 2013 means the RPS caused the premature death of more than 400 people, an increase in premature death that will stalk Kansas every year the RPS remains in place. And, this is just in Kansas. Similar studies are coming out soon for North Carolina, Colorado and Ohio, each with similar cost impacts. Let’s review the story line. The “sustainability” movement arose out of the 1960’s over-population scare and fears that we could not feed ourselves and would run out of basic mineral resources. Once Norman Borlaug developed high-yielding varieties and modern agricultural production came into play, Mexico became a net exporter of wheat (1963) and by the end of the 1960’s, Pakistan and India doubled their wheat yields, allowing them to feed themselves. China eventually followed suit, and Africa came along too. Then the neo-Malthusians lost several bets with those who recognized that market forces would ensure a continuing supply of mineral wealth. So much for “sustainability” as a rallying cry. Sustainability then morphed into concerns about “Smart Growth,” a second effort to shift power from consumers to government, again using an argument that pitted “the environment” against the interests of consumers. Despite a swell of hope from city planners, they could not abridge “the American Dream” of a home, a yard, a small-town feel to their communities. So, the hard-green activists looked for another horse to ride and found it in a nascent effort by Prime Minister Margret Thatcher to beat up on coal miners, converting that into a war on coal. Although the Administrator of the U.S. Environmental Protection Agency refused to admit it, there has not been any climate disruption. There has been no increase in drought beyond normal variation, no increase in flooding beyond normal variation, no increase (and actually a decrease) in tropical storm frequency or intensity, and no net loss of polar (combined Arctic and Antarctic) ice coverage. While she is allowed her own opinions she is not allowed her own facts. Those speak for themselves, and they have been a big yawn. All this has left consumers with a firm belief that whatever you call it, Global Warming, Climate Change, Climate Disruption or the end of the world as we know it, it isn’t the end of the world as we know it and it is not worth worrying about come election time, according to many surveys conducted by politically neutral organizations. Further, consumers are getting tired of having to pay for climate change alarmism without getting anything back for their money. Which brings us back to the renewable energy mandates. Governments responded to climate alarmism in a predictable way. They were told that renewable energy could (eventually) be produced at an affordable cost that would eventually be as low as fossil fuel energy. The federal government imposed a renewable mandate on fuels, requiring “renewable” substitutes for oil-based fuels. Didn’t work. EPA has had to walk back its mandates every year. States took a different route. 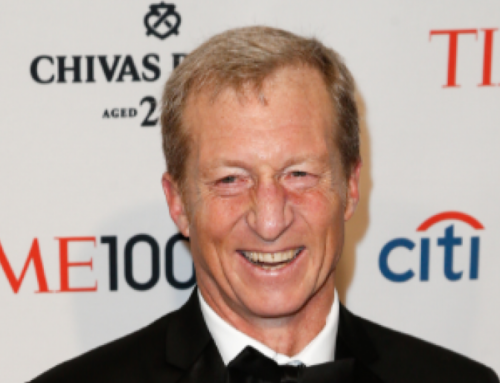 Some of them imposed renewable electricity mandates, attempting to shift power generation from coal to wind and solar, again based on the premise that the consumer could afford the price increase and it would prevent Global Warming, Climate Change, Climate Disruption and the end of life as we know it. As shown for Kansas, we are learning quickly, the RPS narrative is no longer working either. Because of impacts like those seen in Kansas, the politico’s, having accepted the alarmism (and the campaign funds that go with it), are now beginning to feel the backlash. 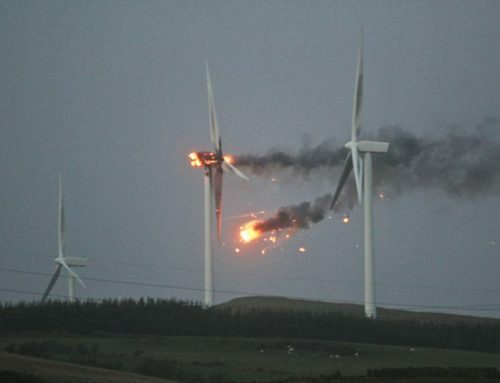 Wind power is expensive. Solar is even more expensive. The climate hasn’t changed, and now we are learning that even if all coal was removed from our U.S. electric grid, it wouldn’t measurably change the global temperature. So, the political push back has started. Consumers are paying a lot of money for no good reason. Pennsylvania acted first to slow down their program, put it on ice for a couple of years. North Carolina is edging closer to dropping their program altogether. The Colorado Senate proposed cutting the requirements in half (basically taking what they now have and calling it quits). The Colorado House, by one vote, killed the Senate’s proposal. The next state election cycle may well confirm the depth of the public unrest. And, unrest is building as the economic impacts become real, and not just in the consumer’s pocket. Solar rooftop installers are disappearing as quickly as con-men. So are their larger brothers. RGS Energy has cut its staff by 30 percent. They abandoned the industrial market because industry is not stupid and does not invest in cost-inefficient products. The homeowner market has slowed, despite the army of salesmen and women the Sierra Club has put onto the streets (yes, illegal kick-back to the Sierra Club for every sale). And, the legal challenge to state renewable energy mandates continues, including E&E Legal’s challenge of the Colorado Statute. The 10th Circuit recently heard arguments on this case and their decision is expected out in May or June. 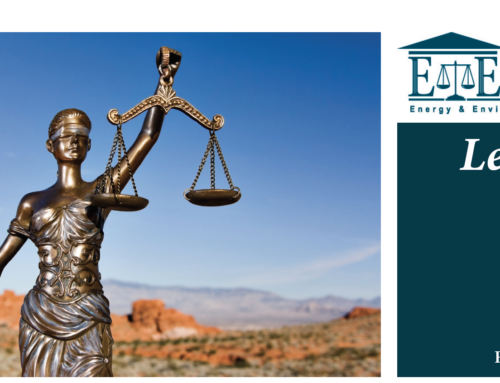 That Court made clear that E&E Legal was on firm ground on one of the two tests it had to meet. 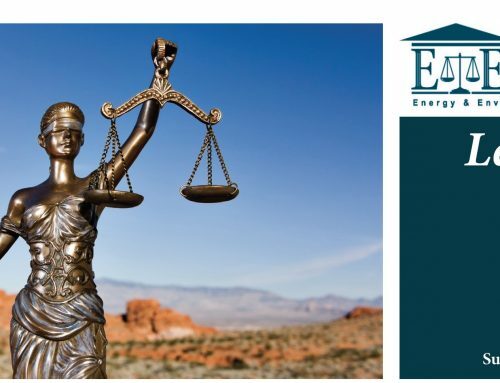 If the Court takes E&E Legal’s side on the second test, the Colorado RPS will be struck and State renewable mandates across the nation will be at risk, much to the joy of the emerging grass-roots opposition to these RPS mandates. If you haven’t told your state representatives that you don’t want to pay for nothing under fear of global warming, drop them a line opposing renewable energy mandates. It’s your money and your lives at stake.